The Good and the Bad of Google Cloud Run — Last week we shared news of the launch of Google’s latest serverless stack. Here, Ben Kehoe offers his the critique of this new compute platform relative to FaaS and managed API services — and how this is different from AWS Lambda. Ben Kehoe in The Good and the Bad of Google Cloud Run. 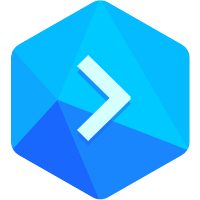 Get the Fastest Website Deployments — Unlike most Continuous Integration (CI) solutions, Buddy only re-builds the parts of your application that have changed and deploys your updates in seconds to any cloud. Start building better serverless apps faster with Buddy. In a Serverless World, We Still Need State — Argues that the programming model of the serverless movement “should not focus only on stateless functions”, adding that by having a focus on state, we gain the “benefit from the advantages of serverless” while still building distributed general-purpose apps. ▶ Serverless, Well Actually... — This half-hour video from DrupalCon Seattle covers the serverless basics, along with common use cases, associated costs, and a look at relevant resources/tools. If you’re just starting out (or know someone who is) this video offers a way to gain a good working knowledge on the technology. Building a Serverless Internet of Things Solution — ...with Python Azure Functions and SignalR. Architect Your Cloud Apps for Peak Performance — Need to know how to architect cloud apps for peak performance? A Cloud Guru will provide an introduction to the AWS Well-Architected Framework (WAF). Creating a Chat App with Serverless, Websockets, and Python — Runs through using Websockets on Serverless to create a chat app. You can find the repo of code used in this tutorial here. Build A Serverless GraphQL API On Top of a Microservice Architecture — How you can create a GraphQL API from a number of microservices and host it all in a serverless function.